Speaking social can sometimes be tough, especially with clients who haven’t yet engaged in social media or sometimes just “don’t get it”. Even those clients who do understand and engage in the social space are sometime confused about the use of specific terms and jargon that social media pros use. 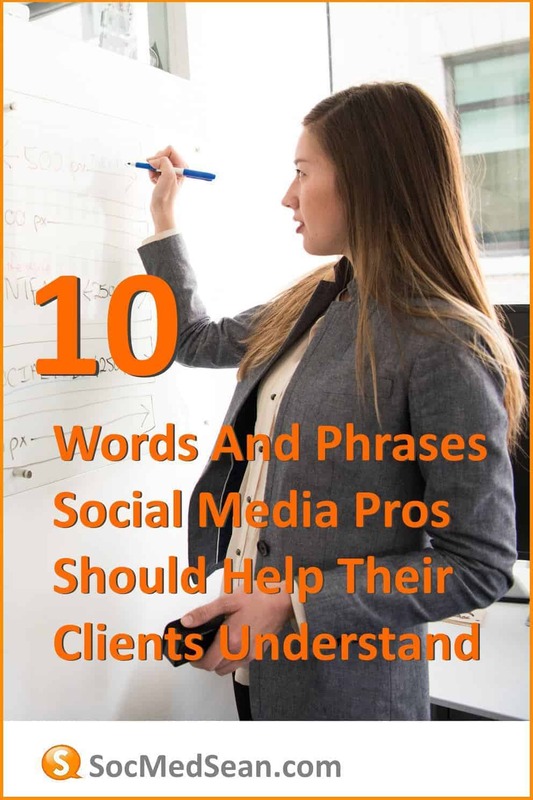 Below is a list of 10 terms that I think social media pros use or focus on that sometimes confuse our clients. Have additions, clarifications, or experiences to share about the use of these terms? Feel free to leave a comment! 1) Influence – Influence is not the same as clout…and it’s certainly not the same as Klout. Help your client understand that their social media efforts can not be measured by a single number or a website. Their engagement should be measured through a wide variety of key performance indicators and how those indicators meet the goals of their organization. 2) Viral – Viral is something that requires antibiotics. It’s something you talk to your doctor about. It’s not something you strive for in a social media campaign. The word “viral” should be replaced in all conversations with the word “valuable”. 3) ROI – There’s a lot of concern with business executives as to whether there is any Return on Investment in social media. That’s their job, making money for the company by serving customers. Help them understand that there are ways they can listen to their community, leverage feedback, and improve their business. Changes that lower overhead or introduce new products and services automatically drive ROI. Social can do both. But also help them understand that trying to tie a specific ROI number is challenging. It’s like trying to assign value to the steering wheel of your car. It’s an integral part of a complex system and you should be working to value the ROI of your marketing ecosystem, much like you value your car. 4) Sentiment Measurement – If your client thinks they can accurately measure how humans feel with an online tool, they are sadly mistaken and if you are propagating that myth, STOP! Some of the online measurement tools are really great, but none of them have the ability to truly understand human syntax (yet!). They don’t understand human speech patterns like sarcasm or irony. Help your client understand that they need a human analyst to check the work of the online tool. Never walk into a meeting with a chart or graph showing sentiment without having a human double-check the results first. The tool can do 70% of the work, the analyst needs to do the other 30%. 5) Social CRM – Customer Relationship Management (CRM) is social…we don’t need to add “social” to the front of every term to make it sound cool and new. I wrote a full article on why the phrase social CRM is just stupid. I always appreciate constructive criticism if your opinion differs. Help your clients understand, however, that customer relationship management isn’t anything different because social media exists. Monitoring tweets and Facebook posts is just an extension of listening to real-life conversations and answering the phone. Use the technologies available to connect with the people you serve. 6) Blog – Believe it or not, there are a LOT of business people out there that don’t understand that blogging isn’t something that teenagers do to document the angst in their teen lives. Blogs are customer service channels. Blogs are ways to feature the people that work in an organization. Blogs are how you get into Google search results and stay there. Any company that is not blogging continues to miss out on a HUGE opportunity for both serving their customers and generating organic traffic to their site. 7) Creative Commons – Whether you like it or not, social media is beating the snot out of copyright law. 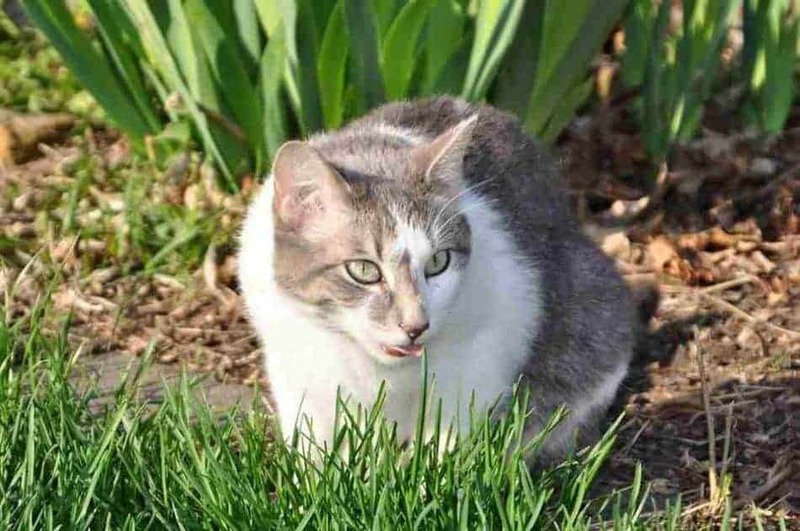 Copyright violations run rampant with people using articles and images without proper attribution to the author or simply using images that they don’t have permission to use. There are a lot of good images out there that are available for use under the Creative Commons license, so help your clients understand how to properly leverage content created by other people. If they can’t afford to create their own unique imagery, help them find photos that are royalty free from sites like Pexels or Unsplash. Social Media trolls can be tough to handle sometimes. Photo courtesy of EirikSo on Flickr. 8 ) Trolls – Trolls are tough. They love to stir things up. They love to post comments that are untrue, inappropriate, or just dumb. Unfortunately, many clients have kneejerk reactions to social media trolls and sometimes feel like they are representing the thoughts/opinions of the rest of their community. 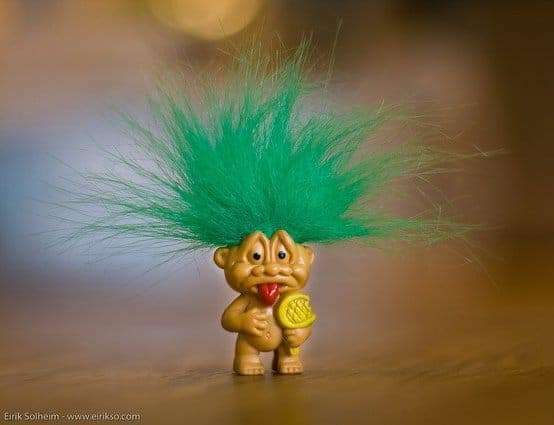 Help your client know what a troll is and help them differentiate between comments that are valid and those that are trolls. 9) IRL – If you ask your client how their “In Real Life” (IRL) activities will supplement their online activities and they don’t know what you’re talking about, you need to educate them. IRL activities are just as much a part of a social strategy as online activities. You can’t hide behind a keyboard and create an organizational persona and never build real life relationships with your community. Get your client out of their chair and into the community to build real, meaningful, long-term relationships with their customers. 10) The Social Enterprise – Social media isn’t just about connecting with customers using external channels like Twitter and Facebook. Social can be used for internal business purposes, as well. Intranets, wikis, knowledge bases, and blogs are all great ways to share information internally, cut down on the rampant email problem at most companies, and connect employees who have valuable information to share with each other. Help your client understand their social media plan should also include their internal activities and be sure they are collaborating with their Intranet manager. Have additional terms that you think social media pros should clarify with their clients? Feel free to share them in a comment! I totally agree with your post. It was helpful.